This arcade of exclusvise shops, the Picadilly Arcade leads between Jermyn Street and Picadilly. 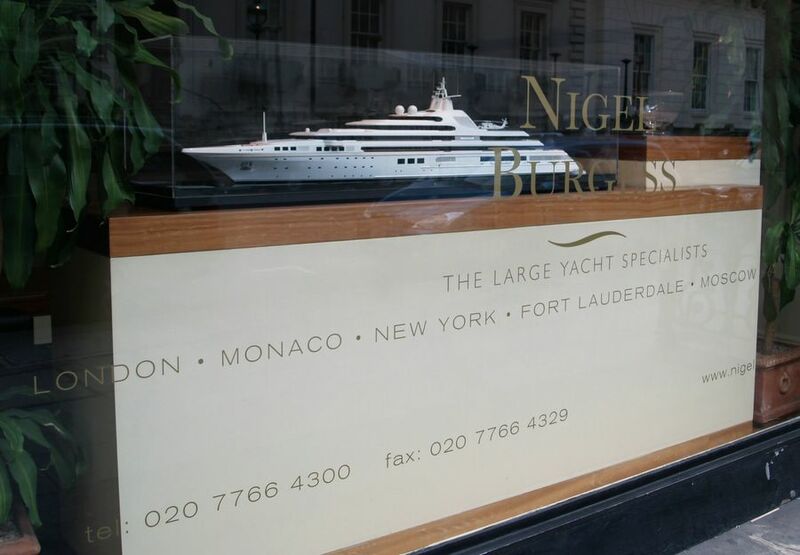 It lays claim on its website to being "one of the most beautiful and elegant in the world", I'll let you decide. If you are in the area (and most people do go to see Eros in Picadilly circus, 100 yards away, it is definately worth a visit. It is very reminiscent of some of the passages in Paris. This is a candidate for the most boring London picture but the best story. 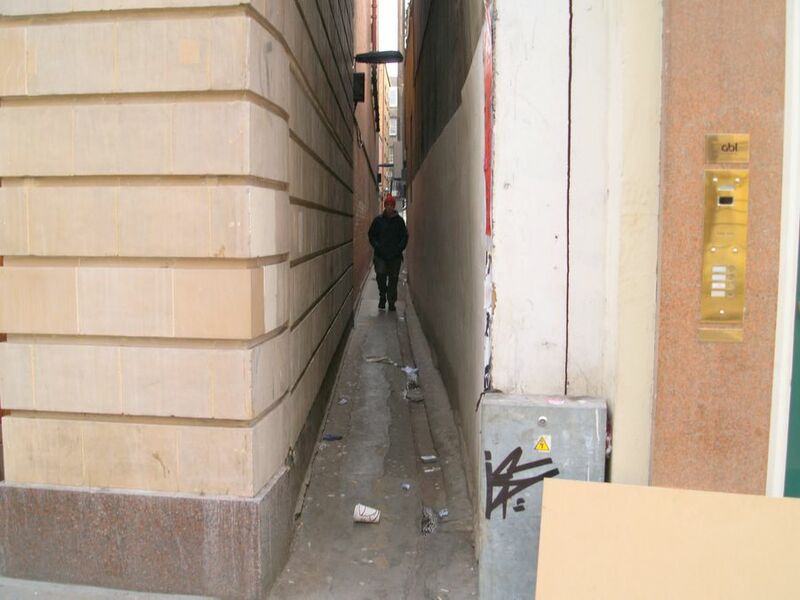 This is Brydges Place , which has the single merit of being the narrowst, longest passage in London. The Way We See It ran their photo challenge on it, and the results are pretty much as you'd expect. Back at the end of the 19th Century, two aristocrats and friends were mambers of a club in Pall Mall, just around the corner. One, let us call him the Viscount Snooty was the healthy, outdoor, sporting type and his friend, let us call him Lord Bunter was ,frankly, fat. A porker. And his friend was always going on at him to loose weight and get fit. One day, Bunter had enough and challenged Lord Snooty to a 100 yard race. "I can beat you" he said, "and all I need is to choose the course and a 1 yard start." Well, Snooty was astounded. "No way could you beat me in a million years" "Bet I can" says Bunter, "£50 says I can" "You're on, lardbucket" says Snooty. So Bunter led him to Brydges Place, a 1 yard start was all he needed as he sauntered through to win the race. Toot toot! 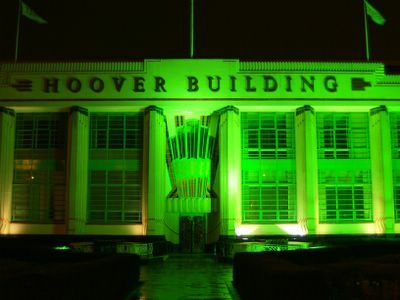 The Hoover Building in Perrivale is one of the most famous Art Deco buildings in the UK. But because of where it is, right on the Western edge, quite a lot of people will never have the chance to see it. So, I thought I'd take a photo for you as I went past on my way to Warwick tonight, and here it is. 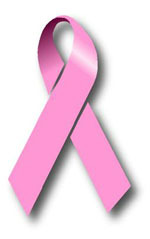 What is it used for these day? A supermarket. 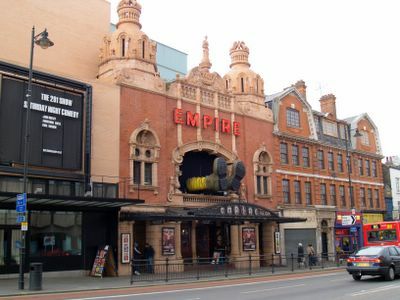 The Hackney Empire in Mare Street, Hackneyis originally a Victorian Music Hall which has had a very chequered history, but I thought you might enjoy its somewhat original frontage. Today was Mother's Day in the UK, and I realised that there wsa a bit of trivia that quite a lot of people might not know. The origin of the UK Mother's day goes back to when a lot of peole had servants, and they were allowed one day a year off to go and see their mothers. 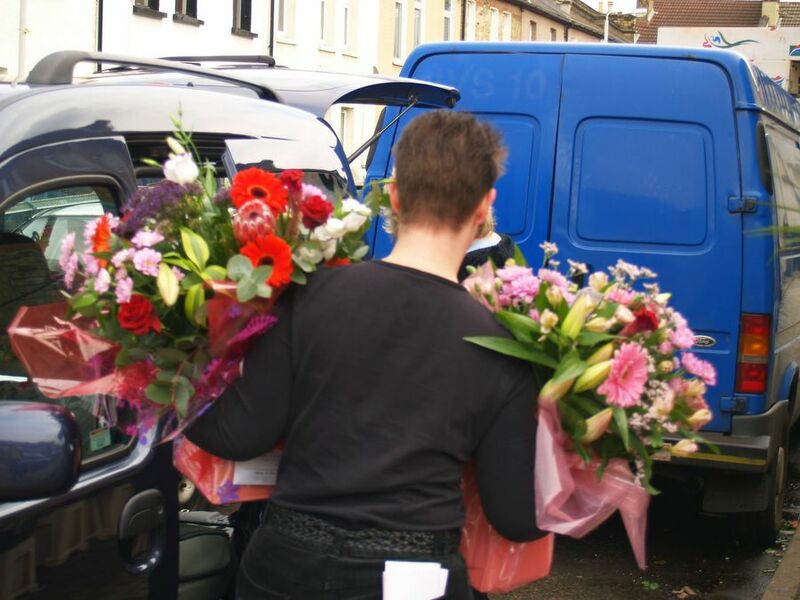 This picture was taken at the early delivery rush at my local florists, Molly & Bill Stevens in Forest Gate If you ever find yourself over this part of town, looking for flowers you really won't do better. Two other pics on My Other Stuff. It's Sunday today, which Sebastien of Trier has declared "Graffiti Sunday", and Paris has had a few riots, too. So I thought I'd combine the two themes. I was moaning the other day how little real passion there is in British politics, compared say to the French. But it was not always thus. In 1936 Oswald Moseley - England's very own fascist would-be leader - was in stirring up trouble. 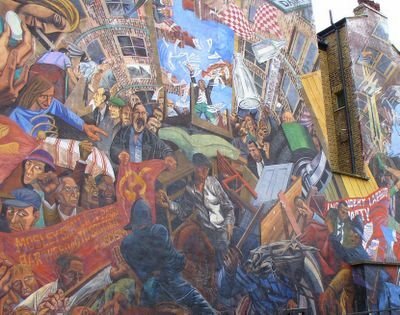 There was a showdown at a march in Cable Street, and the Police attempted to clear the way for the fascists to march. It turned into a full blown riot, and the good news is, the good guys won. This mural commemorates the event. One of the anomalies of modern life is the resurgance of the Farmers Markets. In order to make a living, the farmer comes into towns and sells directly to the public - a bit like happened hundreds of years ago. One of the best is in Borough Market. 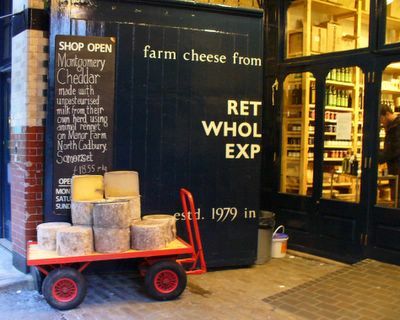 I make no apologies for revisitng from time to time; today, I would like to tell you about one of London's best cheese shops, Neal's Yard Dairy who can be found here. The perfect accompaniment to the sort of wonderful bread you might find in Paris (you can find decent bread in London, but that's another story). By the way - you can also buy Neal's Yard cheese in the states, according to their website! Andreea in Brussels asked me about this a little while ago, I'm very happy to satisfy the request. It seems that I need to say a big hello to a load of folks arriving here for the first time, courtesy of Manhattan User Guide, who very kindly linked to Paris Daily Photo and here. So I set to thinking about the links between our two great cities. 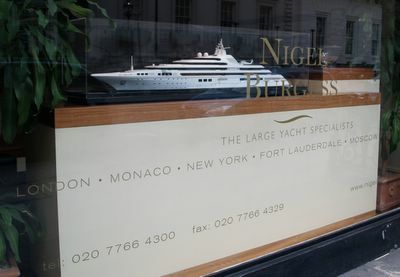 One of the main connections is that we are both seriously influenced by the sea and all things maritime, so I thought I would show you Nigel Burgess, a serious yacht business based in Pall Mall, in the heart of London and in Manhattan as well. This is the front of the Wallace Collection in Manchester Square. 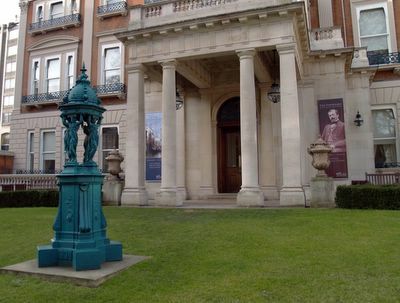 It is one of the lesser known and visited museums, but it is free and has the most astonishing collection of paintings, do visit. My favorite is a little painting, The Hermit, by Gerrit Dou (pronounced cherrit - ch as in Loch- dow to rhyme with cow) who was learning from Rembrant aged 15. When you look at this picture, what do you see? A fairly ordinary planting in a roundabout? Look closer. When was the last time you saw palms, fir trees, rudbeckia, lavender and rosemary in a Local Authority planting list - at least, in London? 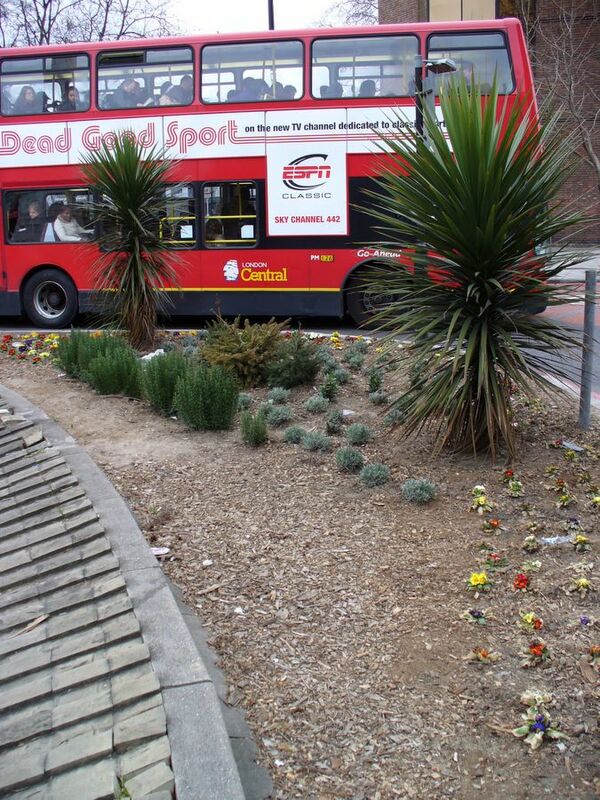 What you are seeing is a manifestation of Guerilla Gardening, really. people that sneak out in the dead of night and ... plant things. This roundabout, in a desolate corner of South London had been totally forsaken untill these guerillas struck. Here is the Wikipedia article. The Metro is an excellent free newspaper handed out every morning at London stations. 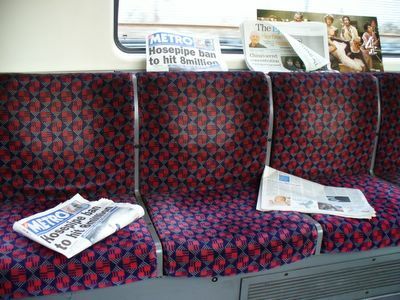 Everyone seems to enjoy it, it gets handed round in offices and - rather than being thrown on the floor - they get left on the seats for the next person to read. I don't travel on the Underground much, and eagle eyed newshounds will notice that the story that London and South East water companies are applying for hosepipe bans because of low water levels was in last week.However, I do think that the Underground is deep in the London psyche, which is why I have Going Underground in my crucial London Links. It was cold and fine today, so I went for a walk in Epping Forest and I thought you might like to see the place that is used as a meeting place by all manner of bikers and scooter riders, just by High Beach. And yes, I'd say this was still London, after all it is inside the M25. There is a recurring theme of graffitti around. Sebastien of Trier Daily Photo has declared Sunday a graffitti day and has shown some great examples. So I thought I'd show you the London version, with a twist. In Camden some enterprising shopkeepers have found the perfect defense against graffiti - decorate using graffitti. 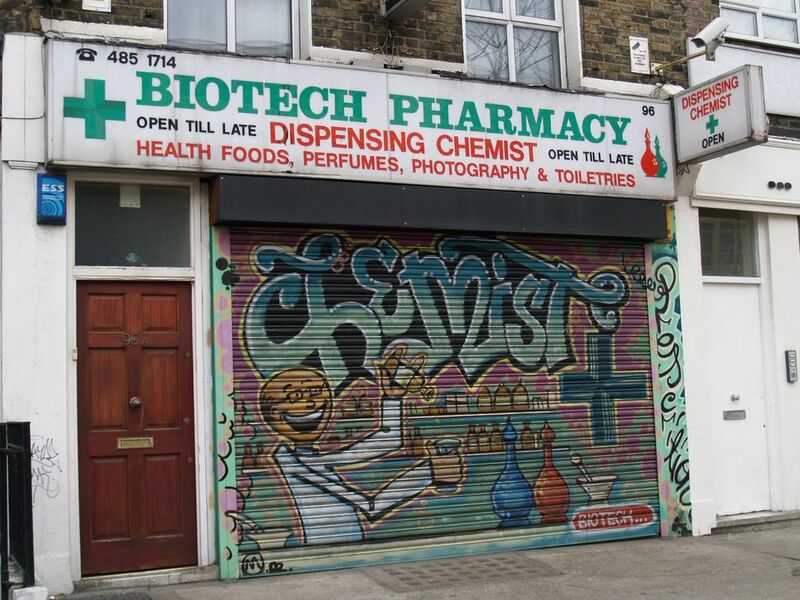 This chemist is my favourite. Three other shops are on My Other Stuff. 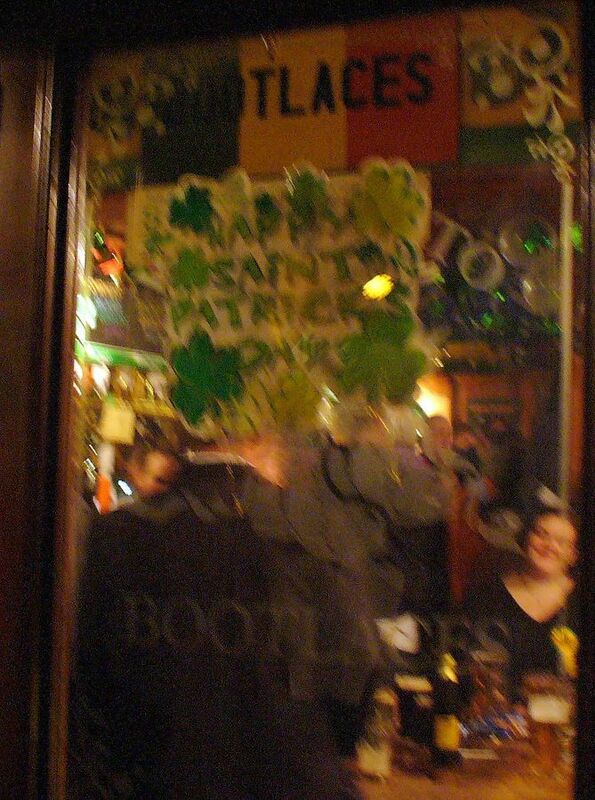 It's St Patricks Day and I've been on taxi driving duties, so it was outside looking in for me. It's Friday night: Paddy walks into a bar, and orders four pints of Guinness. The barman serves him, he takes all four to a table and drinks them, one after the other. Back to the bar, he orders another four - takes them to a table and drinks them one after the other and leaves. He does this every Friday night for the next few months. After a few weeks, the barman says to him, "Paddy, I know you like your guiness cold - why don't you order one at a time, then I could pour them fresh for you." "Ah, you don't undestand," says Paddy "I've got three brothers and we all used to go out drinking of a Friday night. Now Murphy, Michael and Fergus live in the USA, Canada and Australia and we never see each other. 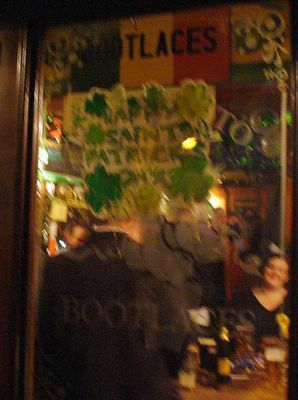 So we all go out in our own towns and drink together on a Friday night"
Time went by and one Friday, Paddy comes in and orders only three pints of Guinness. The barman is distraught. "I'm sorry that one of your brothers has died" he says. "Died?" said Paddy, "they're all fine. It's me, I've given up drinking." A couple more pictures on My Other Stuff. For me, one of the very best bits about London is Coys of Kensington. 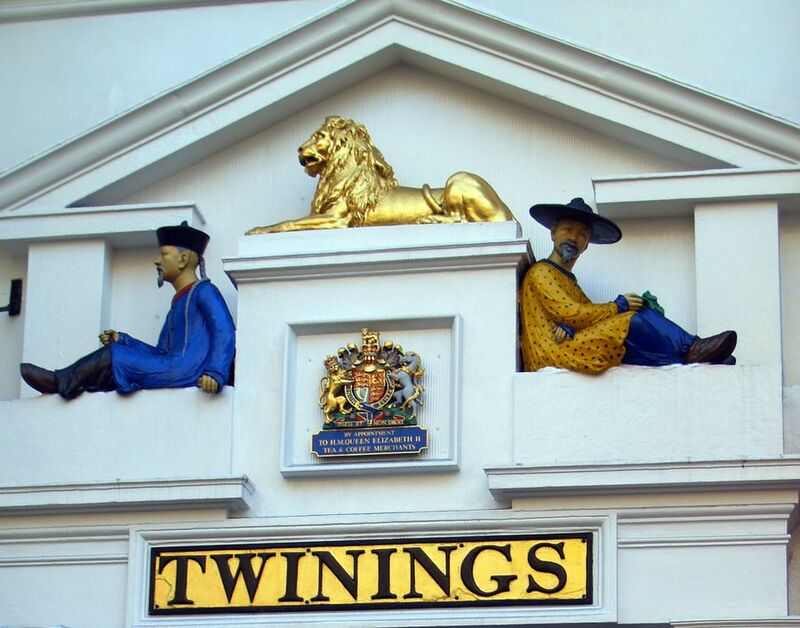 It is in Queens Gate Mews, and you would NEVER find it if you weren't looking. I've been making the pilgrimage for years now; I took a date there once, saying there were some wonderful cars to see. Her reaction was "Oh... they're OLD cars.... But new cars are better than old cars". I didn't see her much after that. More pictures, on My Other Stuff. If I'm encouraged I might post pictures of the cars I've owned. 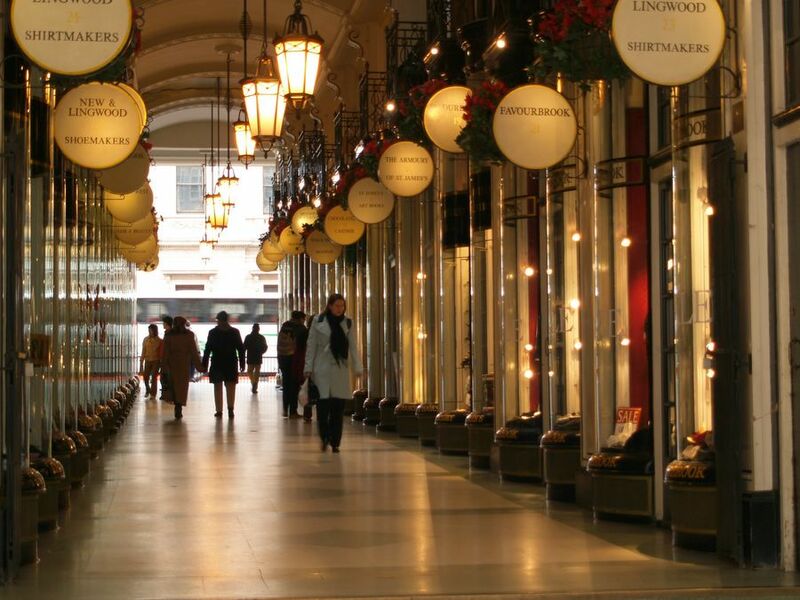 Little indepedent shops sit alongside trendy worldwide brands. 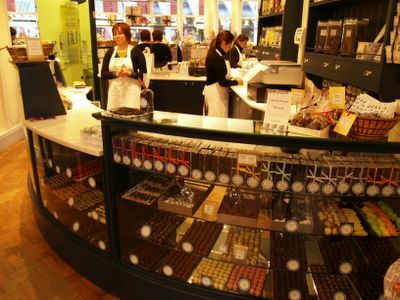 This picture is of Rococo Chocolates, a British chocolatier, and they are every bit as good as they look. 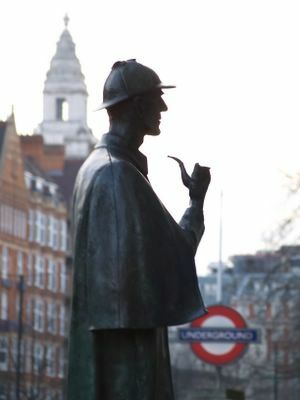 Outside Baker Street station is a statue of the mythical Sherlock Holmes, complete with pipe. There's not much point me banging on about the area because as ever, the Diamond Geezer got there before me, so follow the link if you want to read up. The title is an allusion to the Magritte painting. I wonder how many non-french speakers are aware of the double entendre? (warning - link contains foul language and descriptions of base acts) Was it deliberate? I think so. When I posted this shot of a frozen pond the other day, I thought that was the closest I was likely to get to my home. How wrong I was. The poster is about a teacher who disappeared without trace a week ago. 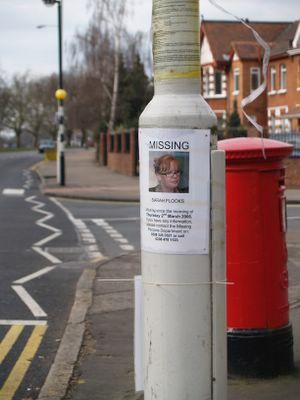 It hit the national news and the area was heaving with police most of the week. This picture - and where she lived - are both my road. This photo from London Daily Photo's early days was taken just across the road from here. 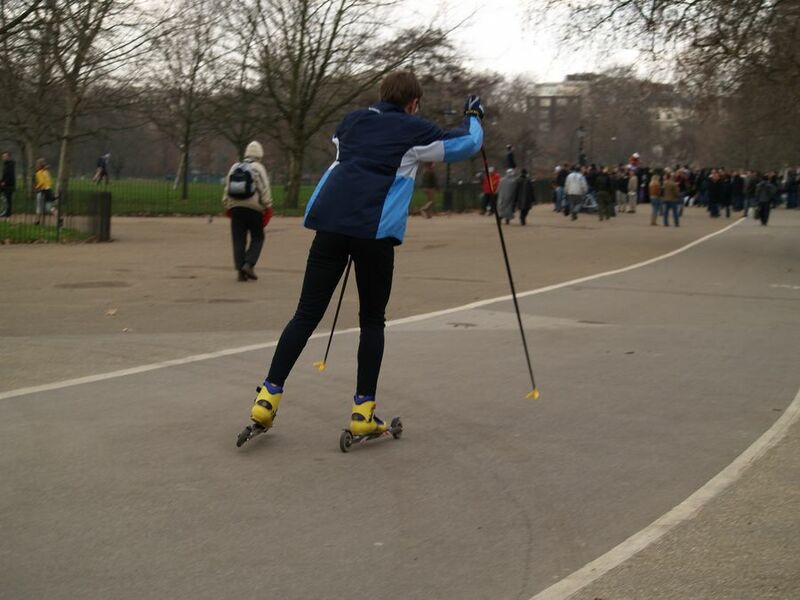 When I saw this cross country skier in Hyde Park I had a bit of a laugh, I hadn't seen anything like it before. But then, I came across the story of the Brazillian Olympic cross country skier, Hélio Freitas so the joke is probably on me. Happy 1st Birthday to Paris Daily Photo! So today's post is, by way of homage, where a homesick french person might go to find French culture in London - the Institut Francais in Queensberry Place. Many happy returns of the day for Eric. These inscrutable orientals are above the Twinings shop in The Strand. How to make a perfect cup of leaf tea. Choose your tea - Assam is a strong tea with body, Ceylon is a little lighter - experiment! Empty the kettle and fill with fresh water (let the tap run a while). Boil, and use a little water to warm the pot. Pour out this water, and put in a teaspoon of tea for each person, an extra one "for the pot" AND (top tip coming here) a pinch of Earl Grey tea. Pour on the boiling water and let draw for a few minutes. Pour, add milk or lemon and sugar to taste. Enjoy! Does this interior look like a, classy expensive restaurant? 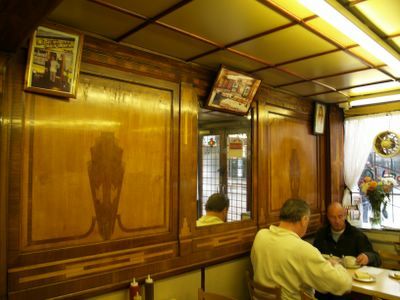 You could not be more wrong, because this is the inside of Pellicci's caff, in Bethnal Green Road in the East End of London. I've been going there for over 25 years, but they have been there - and run by the same family - for over one hundred years. They serve the great British caff (cafe) food; the menu is on My Other Stuff, together with other shots. If you want to see more about this sort of food this is a good link. The marquetry you can see on the walls dates from the eary 20th century, and the shop has been listed to preserve it, although the Pelliccis are obviously a safe pair of hands. The pictures on show are from celebrities and actors who visit. 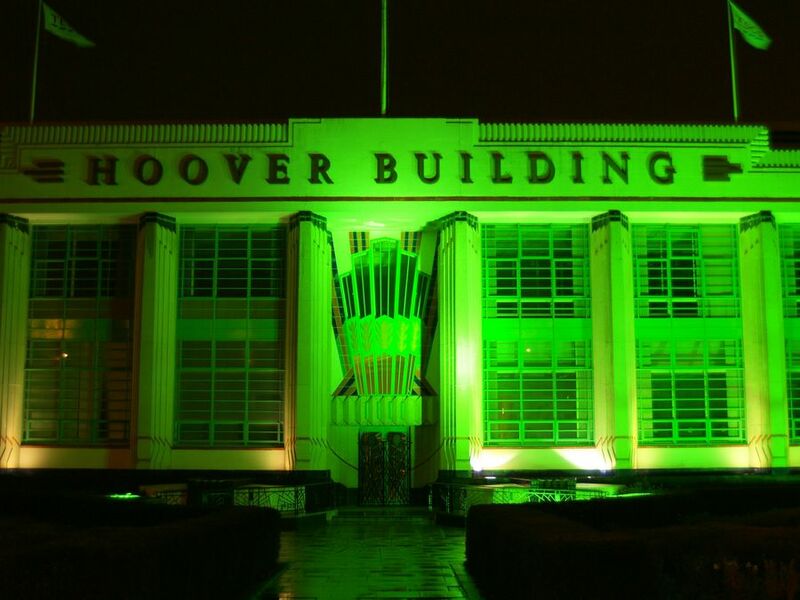 It really has to be seen and experienced - do make the pilgrimage if you can. 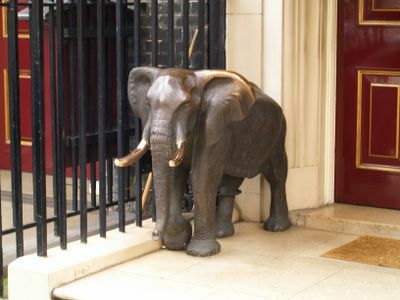 If you venture into the deepest reaches of Mayfair, you'll find this chappie outside Aspinall's Casino, in Curzon Street. They've made sure he won't escape but if you look at his ear, it looks to me like he gets a few pats for luck on the way in! London Trivia - When was the first rock concert? 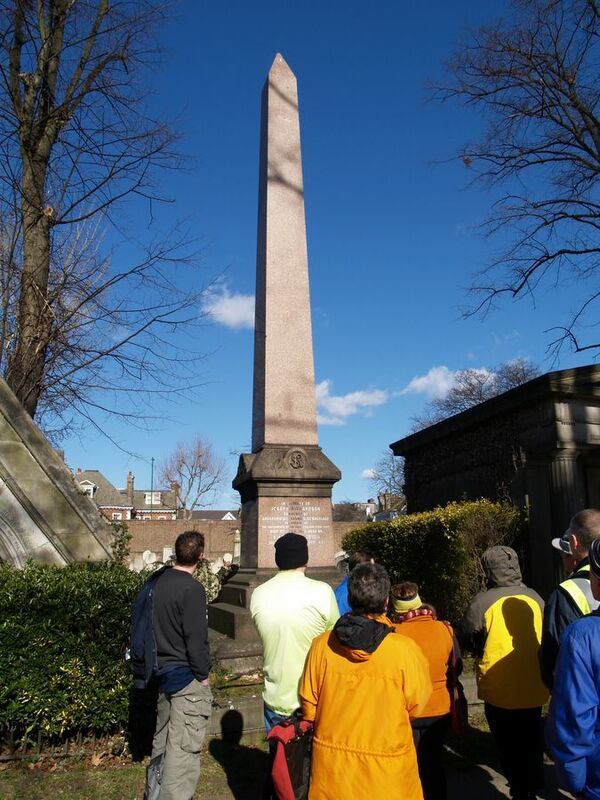 We are on the trivia trail again! 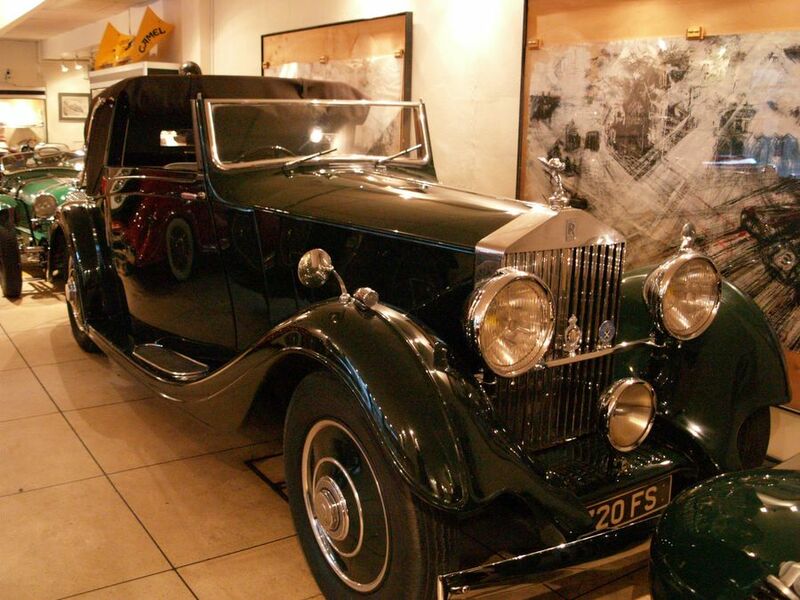 Who can guess in what decade the first Rock Concert was held in London? Was it the fifties? the sixties? who do you think it was? Only rule - it has to have been called a Rock Concert. Come on - give it your best shot. As you may have guessed by now, you are all wrong. It was in the 40's. The Eighteen forties! Really. The photo is of the obelisk for this bloke called Joseph Richardson who discovered that the stone he was digging out the ground made a nice noise when you hit it, and by chipping bits away you could tune it. This new sound became all the rage and in eighteen-forty-something he held what was billed as a "Monstre (sic) Rock Concert" in London. You can see the detail of the inscription on this Kensal Green Cemetery obilisk on My Other Stuff and some pictures of the instrument itself here. That just goes to prove what we have always known - the Stones have been around for ever! 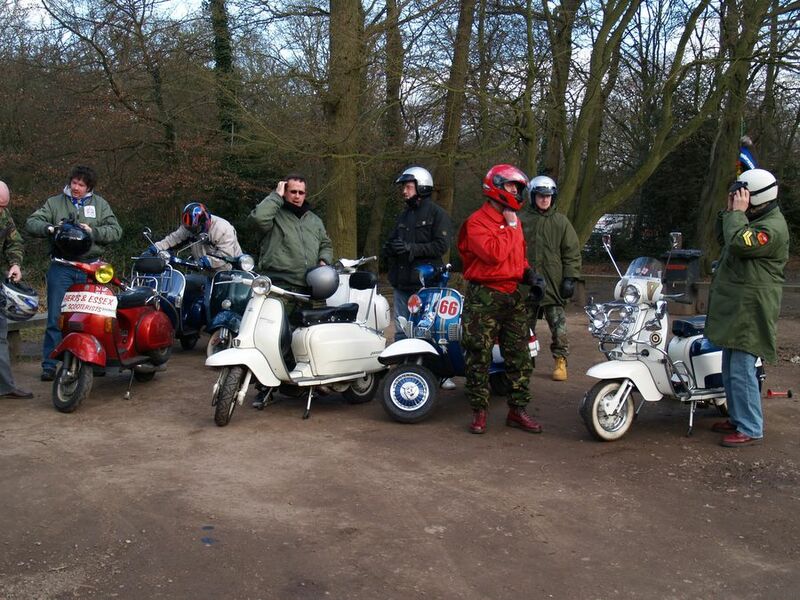 What to do on a sunny, but cold, Sunday in London? Mrs Ham & myself joined in a local cycle group (the oldest member is 92!! 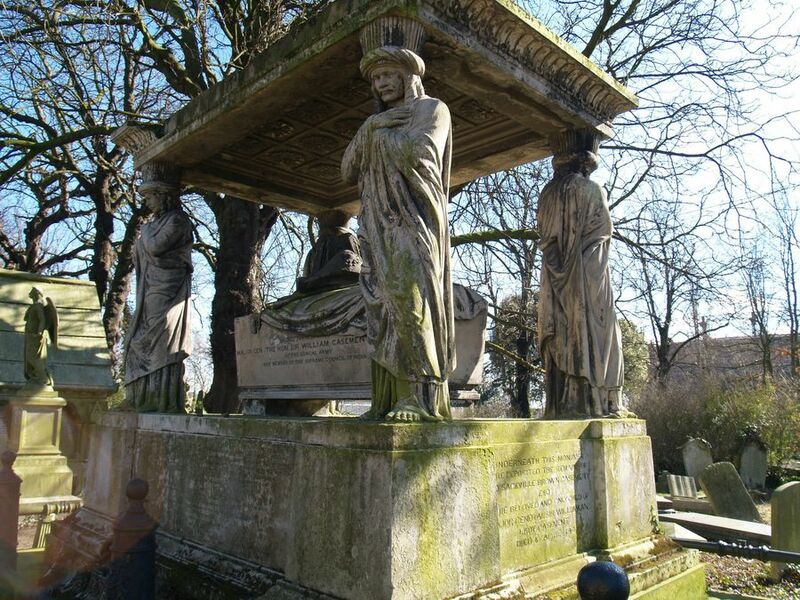 see pic on My Other Stuff) for a trip to Kensal Green Cemetery, just up river from Little Venice. One of htis group is writing a book on the Egyptian Influences in London (more another day) and was able to give us a tour. The place was established in the 1830's and modled on Paris's Père Lachaise Cemetery, Eric has a great collage on Paris Daily Photo(or here), and as you can see the UK version is as entirely "over the top" as its inspiration. I'll select some of the more interesting bits for posts on other days. Those birds are graceful in the air, smooth in the water, but just plain funny when the ice stops them from getting to it. 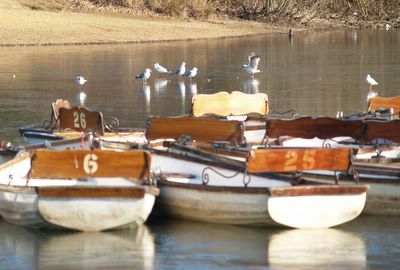 This picture was taken this morning at my local boating lake. Ham's home is half a screen south in this map, in the bottom of the "wedge" shape of streets. And yes, it's cold in London at the moment. 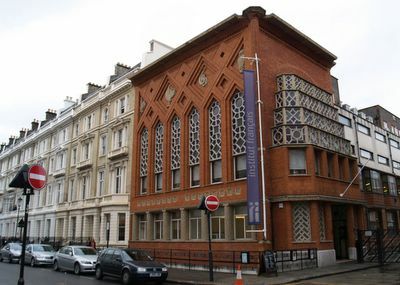 If you walk down Portland Place from Regents Park towards Oxford Circus you will discover the august building of the Royal Institute of British Architects and outside you will find a one-person demonstration (wider shot of the building on My Other Stuff). 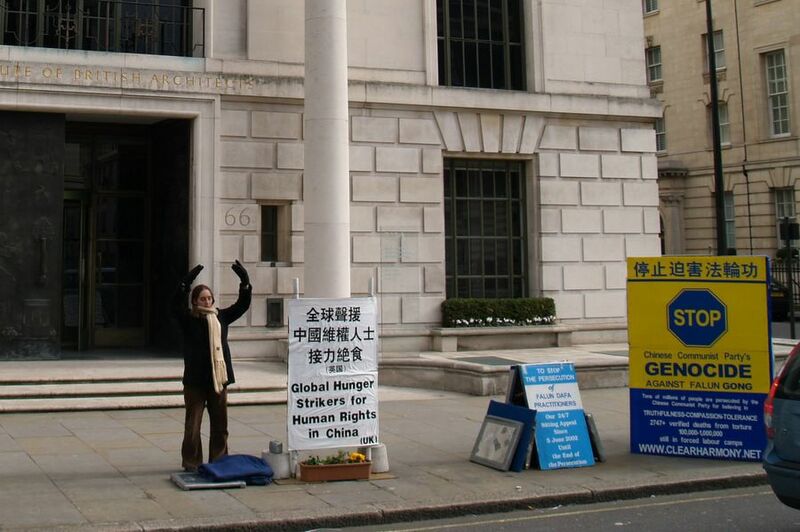 One of the smallest, longest running and poignant demonstrations ever, it comprises one member of the Falun Gong going through meditation exercises. 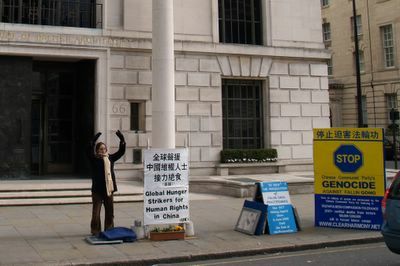 You may wonder just how the architects have upset the Falun Gong, but the answer is on the other side of the road - the Chinese Embassy. The sad story of this pacifist minority that has been treated brutally by the Chinese is little known. This page documents each and every one of 2,829 people that have been murdered by the regime. Take the time to look at one or two. A warning - these stories do not make easy reading. Have a look at Hong Kong DailyPhoto for the last vestiges of free speech in China, long may it carry on! Ah well, bang goes my chinese readership. Would you guess that this scene is taken about 1Km away from Marble Arch and Oxford Street? This is Little Venice which you can find here. 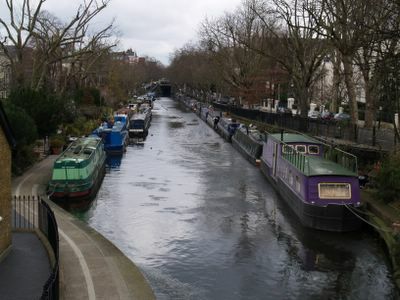 Back in January I posted this, which might not look that different, but in Little Venice they have locks on the gate to their section of towpath, patios with flowers set out - you name it. It may not look that much like Venice, but the poet Robert Browning gave it the name and it stuck. 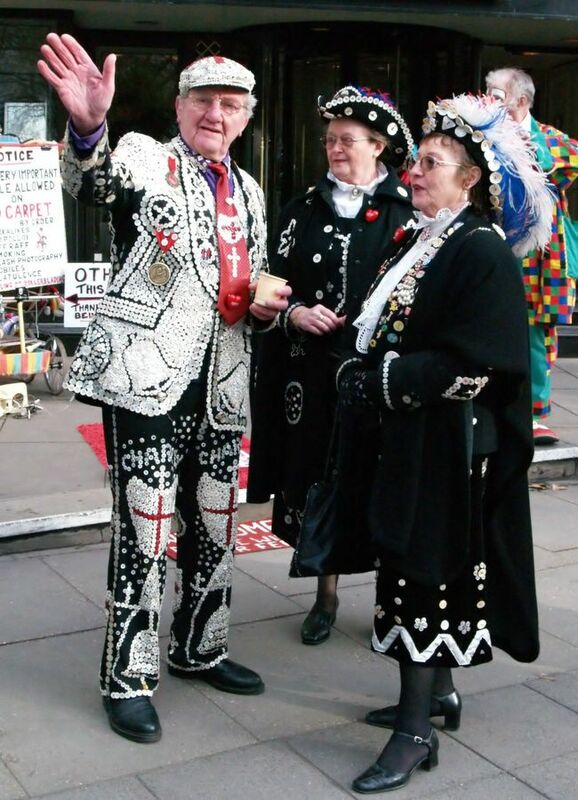 The Pearly Kings and Queens of London have a history going back over a hundred years. They make their own costumes and add a lot of colour to London, as well as doing a lot of good work for charities. 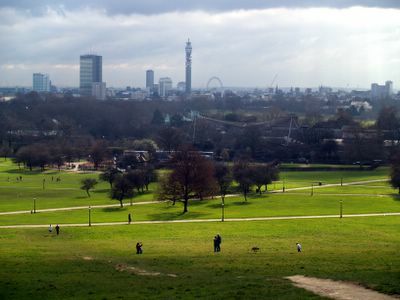 The park, Primrose Hill is only a footstep from central London and has one of the best views, certainly worth the trip. then Primrose Hill is the place to go. Don't forget, this is the place where Mary Poppins belonged.